If you wanted to be taken out to the ball game but couldn't score tickets, all is not lost. There are plenty of top-notch sports bars in Raleigh to catch the World Series, all of which have more to offer than your typical stadium hot dog, nachos and overpriced beer. Using Yelp data and our own methodology, Hoodline crunched the numbers to come up with the best sports bars where you can view baseball's biggest series. 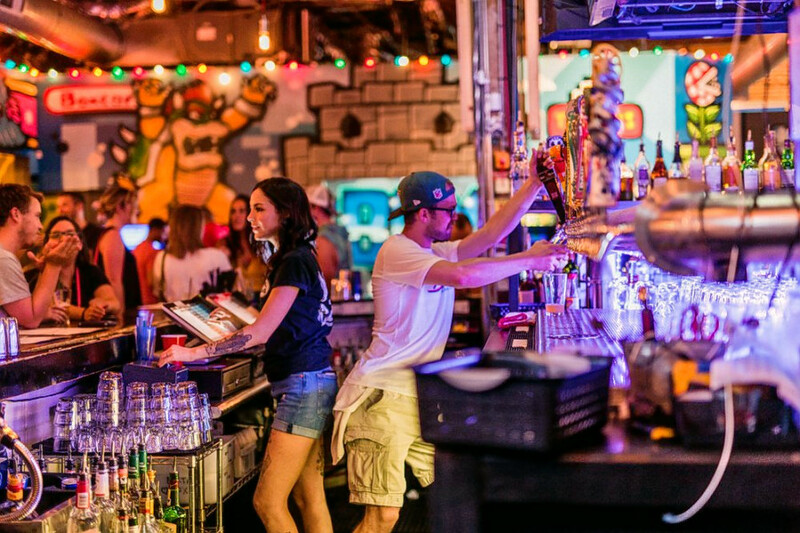 Topping the list is Boxcar Bar + Arcade. 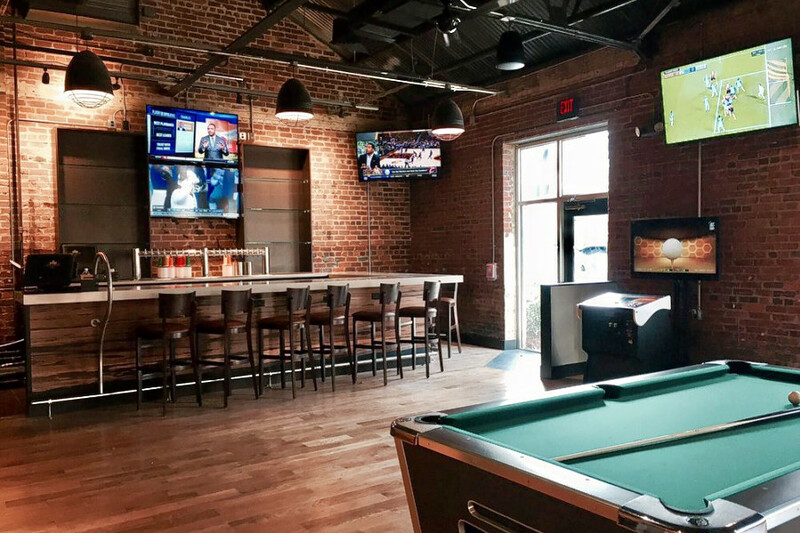 Located at 330 W. Davie St. in downtown Raleigh, this is the highest-rated sports bar in the city, boasting 4.5 stars out of 488 reviews on Yelp. The bar features seasonal cocktails, 24 craft American drafts and an extensive bourbon selection. It also has hundreds of arcade-style games, pinball machines and console games if you want to take a break from the TVs tuned to sports. Next up is downtown's Clouds Brewing, situated at 126 N. West St. With four stars out of 292 reviews on Yelp, the brewery, sports bar and New American spot has proven to be a local favorite. According to its website, the spot offers more than 40 rotating taps with local and craft beer, including original German-inspired brews. 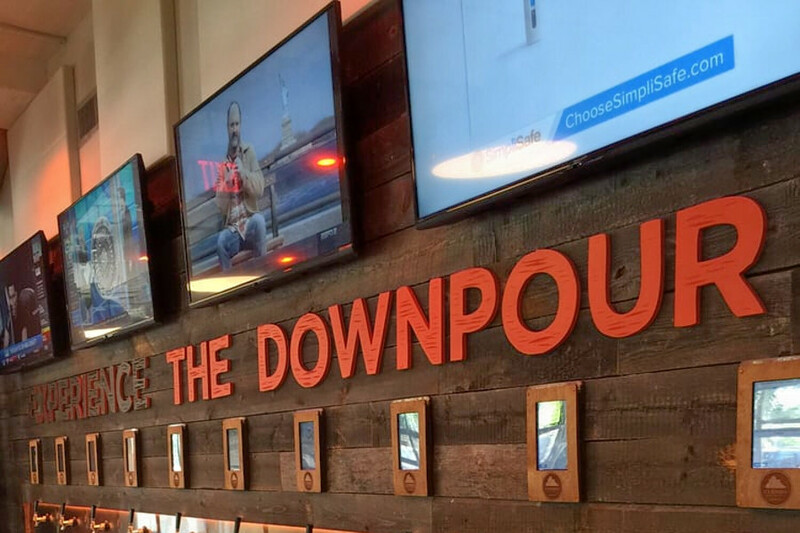 Visitors can expect a self-serve beer wall (nicknamed "The Downpour") and a variety of meal options, including sandwiches, burgers and salads. Wade's The Players Retreat, located at 105 Oberlin Road, is another top choice, with Yelpers giving the sports bar and traditional American spot four stars out of 154 reviews. Tobacco Road Sports Cafe & Brewery is another go-to, with four stars out of 74 Yelp reviews. The North Carolina brewery, which also has spots in Durham and Chapel Hill, offers classic bar foods as well as enough options to meet all your vegan, vegetarian, paleo and dairy-free needs. The downtown Raleigh outpost is located at 505 W. Jones St. in the historic Powerhouse building. 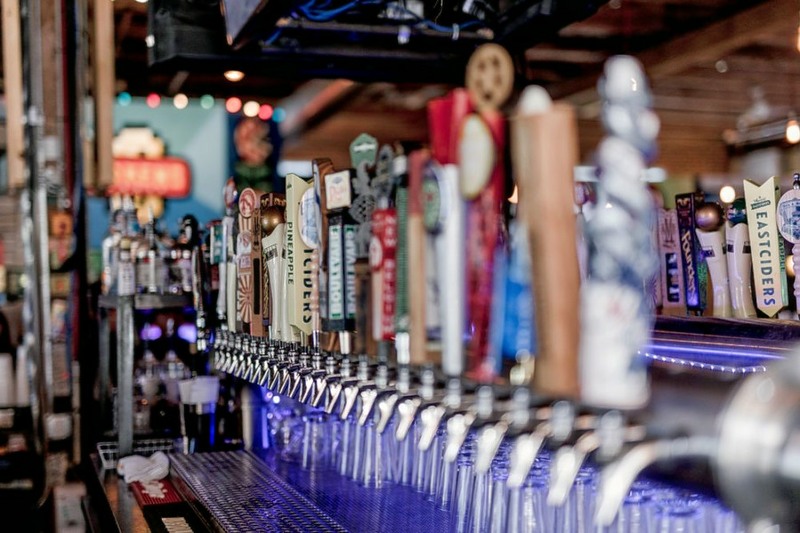 Look for beers from independent craft brewers, like the Jones St. Wheat: a Belgian-Style wheat beer hopped with Hallertau and accented with orange peel, lemon peel, coriander, black pepper and traditional Wit yeast. (See what's on tap here.) Hungry? A variety of nachos, sandwiches and burgers are on offer. Then there's The Bison Bar, which has earned four stars out of 17 reviews on Yelp. 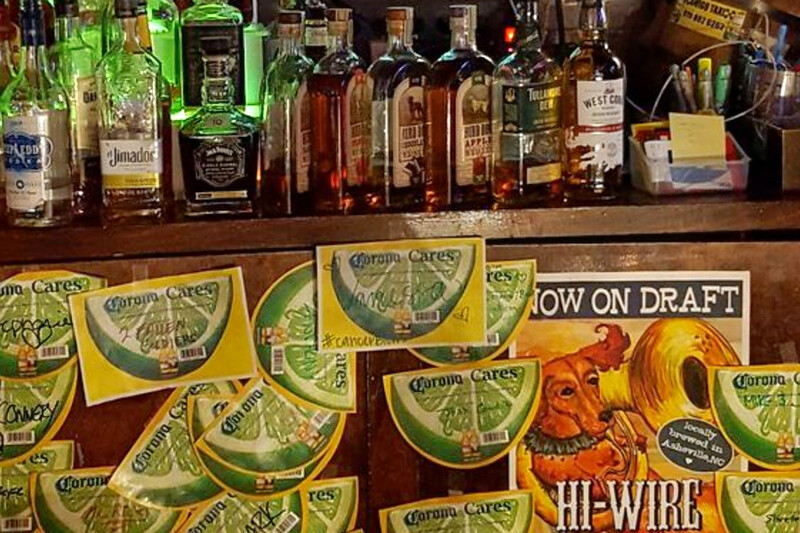 The local watering hole in Five Points features a pool table, arcade games and drink specials. You can find the sports bar at 815 E. Whitaker Mill Road. 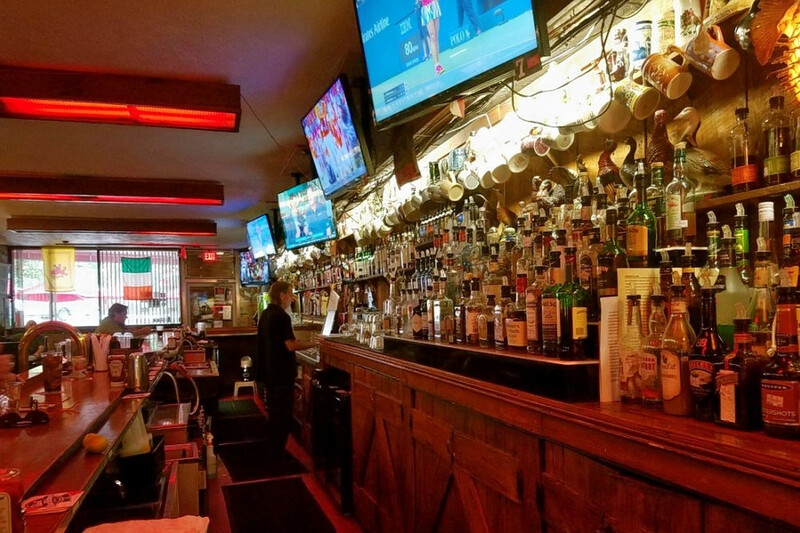 Yelper Kristin A. wrote, "The place has all the perfect components of a Cheers-like hole-in-the-wall: regulars, cheap drinks, a few board/electronic games, a couple of TVs and no food. I've only been a few times but there has never been a dull moment nor have I had a dull conversation."